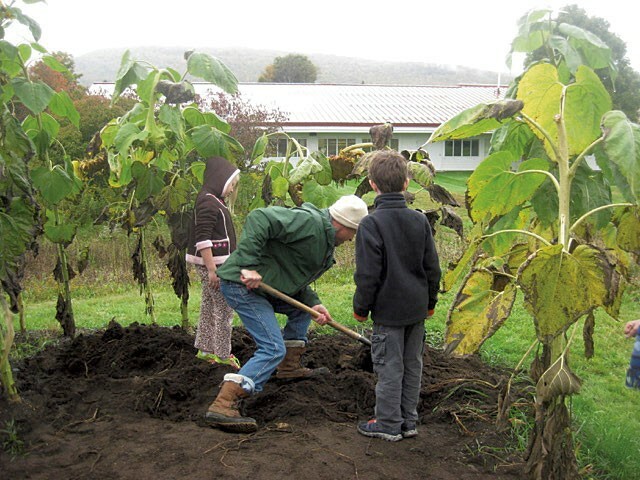 Sunflower Circles & Dry Beans: Family Gardening Projects to Sustain Your Summer | In the Garden | Kids VT - small people, big ideas! Editor's Note: To help you make the most of Vermont's short but sweet growing season, we asked writer and farmer Laura Sorkin to recommend a few family gardening activities. 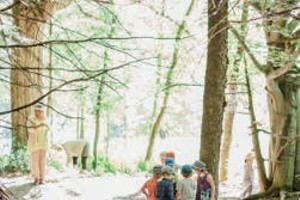 We hope this series helps you cultivate your kids' interest in and connection to nature. While most kids delight in messing around in the dirt, few are naturally patient. A gardening project that takes the whole summer to come to fruition can reinforce the concept that some things are worth the wait. To keep them engaged, you'll want to get them involved right from the start and choose something they'll find rewarding. Here are two activities that fit the bill. What child will want to miss out on a finale that involves food, forts and stomping? This project starts with a few seeds and ends with a 10-foot-tall floral fort. When it's finished, there will be space in the middle, beneath a dome of sunflowers, where kids can sit, picnic or simply daydream. To begin, choose a sunny spot in your yard. If there's already a garden with tilled soil, you've got a head start. If not, you'll need to do some digging. But don't despair; you only need to remove enough sod to form a ring, not an entire circle. To figure out how big you want your circle, stake out an area and sit in the middle. I've found that a circle eight feet in diameter will fit a few giggly kids. Next, prepare the soil outside of the circle. If you're digging into the lawn, remove the grass from an eight-inch wide swath along the edge. Find a shovel with a straight edge and use it to slice into the sod, then dig under the roots. Pull up the mat of grass and shake off as much soil as possible. Truthfully, this process can be a slog and will likely be too tough for kids. I think of it as an opportunity to work off the comfort food I ate all winter. Once you're done removing the sod, pass out some trowels. Kids can help fill the dug-out space with compost and mix it into the topsoil. 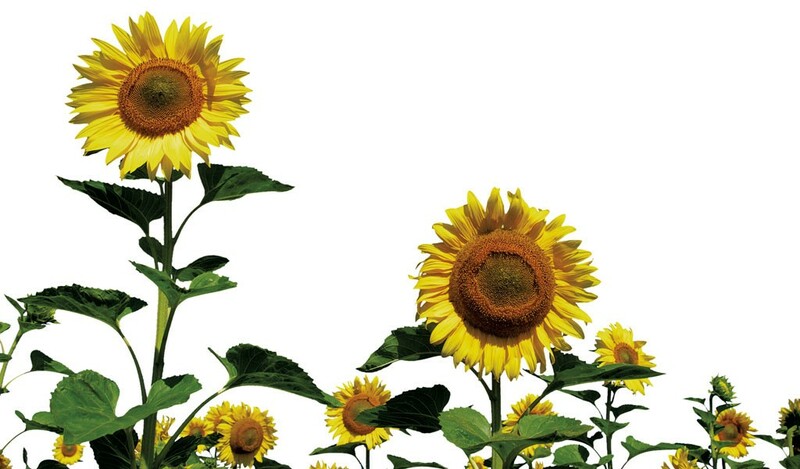 When the weather is reliably warm, in early June, plant the sunflower seeds directly in the soil. Russian Mammoth is a popular tall variety that is readily available. Plant seeds six inches apart and a half inch deep, and water well. Add some all-purpose fertilizer once or twice over the next month. If you live in a windy area, you may want to stake the flowers for support. To do this, place wooden stakes along the outside edge of the circle, about two feet above ground and three feet apart. Tie a piece of twine at one end and run it around the circle, wrapping it around each stake as you go. If all goes well, the flowers will grow to be eight to 12 feet tall and lean in toward each other. When the flowers die back in the fall, cut them off and bring the heads inside to dry. You can harvest the seeds for eating or for planting next year. Or you can bring the whole head back outside for the birds to nibble. Place it near a window for some prime bird-watching opportunities. My kids love growing dry beans because the colors and diversity of the beans are dazzling. It's also the one time they have license to step on their food. That part comes in early fall; for now, I'll explain how to grow them. First, choose the variety, but don't limit yourself to what's available in local stores. 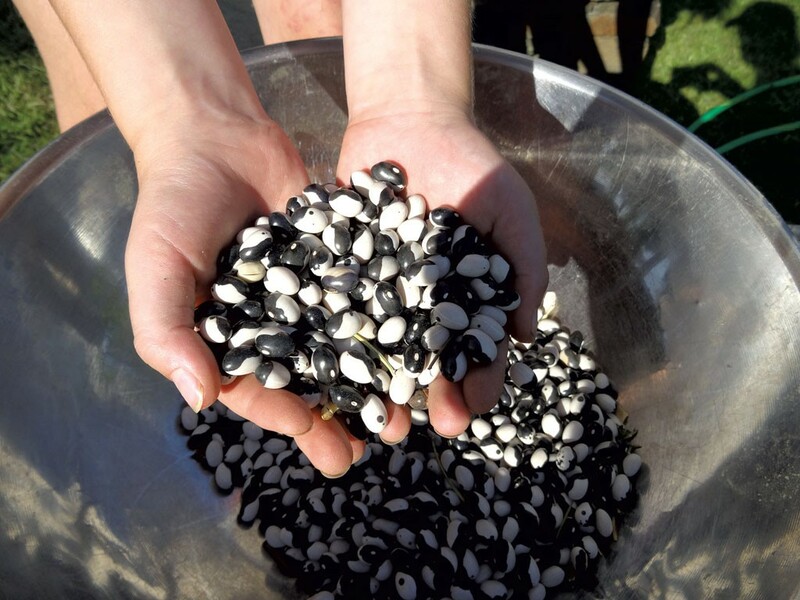 Go online to a site like Vermont Bean Seed Company (vermontbean.com), where you can find treasures such as the Yin Yang, which has that black-and-white symbol on every bean. Let your kids choose what appeals to them: Black Turtle, Jacob's Cattle, Money. The names are part of the fun, and they're all easy to grow. I recommend selecting bush varieties, since they're more manageable than pole types. Plant the beans in rich soil early in June. Have the kids bury them one to two inches deep and one to two inches apart, in rows 18 inches apart. Many companies sell beans in two-ounce packages, which will be enough for roughly 10 feet. But plant only as much as you and your children are willing to weed. If your family loves beans, plant them all. But if you're doing it for the experience, a couple of feet will be plenty. An all-purpose bean inoculant, available at gardening stores, will ensure the legumes have the important bacteria that enable the plant to extract nitrogen from the air. Sprinkle the inoculant directly on the seed when planting or incorporate it into the soil. Keep the rows weeded and watered throughout the summer. When the beans emerge, they will plump up and mature, but resist the urge to pick them. Leave them on the bush to ripen and dry down. I'll include the harvesting instructions in the August issue. The process involves jumping up and down on a mound of bean pods, then magically separating the beans from their casings using a fan. Our ancestors called this threshing and winnowing, but my kids just call it fun.